Do you like Princesses Truth Or Dare? Share it with your friends. 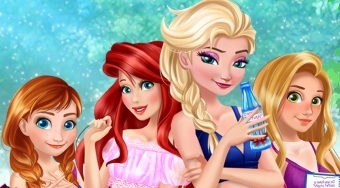 Have fun with the princess Ann, Elsa, Rapunzel and Ariel while playing the famous bottle game.